During the winter, many animals will take advantage of attic space in homes and buildings. These spaces provide shelter and warmth. If you allow them access, they will readily move in and stay till spring. Though they pose no serious threat, attics are not designed for housing wild animals. Common damage caused by animals in attics include torn insulation, chewed electric wires and odors from their excrement. If you suspect animals are in your attic then it’s time to evict them! If these animals are active in your yard, they will tear up turf, destroy bird feeders or live on pet food. This article will explain why these animals can be a pest and then offer solutions to the problems. The animal we will be discuss is the opossum. Opossum are another nocturnal animal which may live in the country, the city or the suburbs. They, too, love to get into garbage and gardens. Leftover dog or cat food on your deck is a sure way to find out if any are close to your building. Opossum may live in burrows, attics, or crawl spaces. Sheds and garages are other nest sites. Their burrows are larger in diameter than a chipmunks’ but do not have as many tunnels. Expect to find one large hole which leads to a den. Many times they will take advantage of naturally created holes around patio’s, wood piles and sheds. These burrows may cause structural and water problems if they exist alongside foundations. In addition to burrows, opossum can climb onto any attic. Like raccoons, they will destroy insulation and leave their excrement. This will lead to strong odors. Here is a short video showing an opossum caught in a live trap. Opossum will readily tear into garbage, dig up mulch piles or chew on yard furniture and decorations. The reasons are many but this behavior is mostly attributed to them seeking food. You can try animal proofing your garbage pails, but this may be hard to do. Opossum are smart and will find many ways to gain access to areas they suspect has some good food. Furthermore, many paints and finishes contain high concentrations of minerals or nutrients which attract these animals. 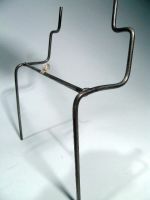 Furniture and other yard items become the target of this gnawing and though generally never consumed, the damage done is both annoying and expensive. To stop this from happening, spray anything they are chewing with LIQUID ROPEL. This product tastes terrible and they will stop once they get a mouthful. You can literally spray garbage as it is placed in the garbage pail or even the bag you throw away. As the animals pull through the garbage they will be getting the Ropel on their paws and then onto their mouths. This taste is too strong for them to continue the behavior so eventually they will have to move on to another target or yard. Opossum will dig up sod, turf mulch piles, pine straw, wood chips and just about any ground cover you have in the yard seeking food. Remember, food to them includes insects. One of their favorite foods are grubs. If you don’t treat your yard for grubs annually you are sure to get insects reproducing and nesting in plants and soil. Both raccoons and opossum have great noses and will smell any population of insects which is living and breeding in or around your yard. Once they smell insect activity, they will begin to dig up turf, pull back sod and overturn mulch. They are seeking grubs, crickets, ants, millipedes, grass hoppers, slugs, termites, boxelder bugs, bees, yellowjackets, earwigs, roaches, pillbugs and just about anything which may be living in or around your yard. To stop this from happening, you can try several approaches. First, if the animals are not that active in their digging, you can apply some WHOLE CONTROL. This is a bad tasting product generally used for moles, armadillo and gophers. Once it makes it’s way into the soil, the dirt will take on a bad taste which opossum don’t like. If they attempt to dig they will get this taste on their paws and ultimately in their mouth. Whole Control tastes bad enough to stop them if there is not too much food to be found in the ground where they are digging. The rule is simple; if they are finding a lot to eat as they dig they will probably continue even after you treat. This is because the need for food is simply too great and won’t be put off by a bad taste. If you apply some Whole Control and find digging in treated areas 3 weeks after treatment, you will have to start some insect control spraying to kill off the food. To kill off the grubs and other insects the opossum are eating, you will need to use two products. First, apply some DELTA GUARD GRANULES or COMPLETE LAWN GRANULES over the area where they are active. 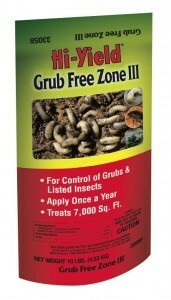 These products will release over several months to kill off grubs and insects of all types. Neither one is better than the other; use either to start and if you have used one in the past, use the other now. Apply the granules with a GRANULE SPREADER to get good coverage over any type of area to treat. Our Spreaders are much easier to use than the push type – particularly when you need to treat flower beds or mulch areas. Since these granules won’t kill quickly and need some water to be activated, it is best to spray over the top of them with some BIFEN. It will provide a quick kill of any insect and will last 4 weeks or more per treatment. Apply it with our HOSE END SPRAYER to get good coverage. Just around the time it loses it’s effectiveness the granules will start to kick in providing longer control. Doing this in the fall and spring is generally recommended. However, treatments done with both liquid and granules will get digging stopped within a couple of weeks as the digging animals learn there is no food to be had. If you don’t like doing this much treatment, change over to our GRUB FREE MERIT GRANULES the following season following the initial treatment. These granules will last up to a whole year so you only need to apply them once a year. Apply them with one of our Spreaders mentioned above for proper coverage. Opossum have been known to kill off pet fish or turtles kept in man made ponds. They also love bird seed, squirrel feeders and humming bird stations. 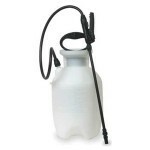 If you have raccoons or opossum raiding your offering to local birds or stealing your pet Koi, then you may need to set up some of our mechanical repellents to keep them away. To stop opossum from climbing up bird feeder poles or tree branches, apply some LIQUID 4-THE-BIRDS over the path they are taking. This product is glue like but does not dry. Instead it remains very tacky and irritating to the touch. Opossum will quickly stop walking over treated areas. You can apply it with a paint brush or one of our SPRAYERS. The product has the unique ability to not dry and to stay tacky and gooey so that any animal which attempts to walk over it will get some on their paws. Once on their paws, 4-The-Birds will start to irritate their skin. This irritation will bother them enough to keep them away but it won’t hurt them. One or two experiences with the treatment and they will be sure to stay away for good. Use the treatment if the animals are found to be climbing up the side of your home or other structures as well. Many times they will establish a pathway up gutter down spouts, trellis or other siding of a structure. Though this climbing may appear innocent at first, in most cases it will lead them to a vulnerable part of the home like a chimney, soffit or attic. Once they find this weak point they will enter and create a nest. If you have evidence of them climbing, apply some of the Liquid 4-The-Birds to stop them; by preventing them from getting comfortable moving about on your home you will be able to prevent them from moving inside. If you believe they may already be in the home, go to Part 4 listed below to learn how to trap out animals already living inside. If you have built yourself a Koi Pond and stocked it with prize fish, turtles or other wildlife, the last thing you want is some opossum eating all your pets. There are two mechanical devices we carry which can prevent this from happening. The first will work for any nuisance animal. 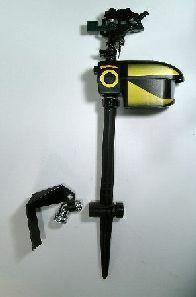 It works 24 hours a day and relies on a motion detector to note when something is in it’s range. Once something is detected, it will release a 3 second blast of water targeting the animals. Our MOTION ACTIVATED WATER SPRAYER is ideal for this application. It requires no use of any chemicals – only water – so it poses no hazard to the pond or it’s occupants. Furthermore, it targets any animal so it will work well for large predatory birds, otter, bobcat, domestic cats, raccoon, opossum and just about anything that would want to eat your prize fish or other aquatic pets. Just set it up and get great continuous coverage. Another mechanical repellent you can use is one of our ULTRA SOUND DEVICES. These come in either a battery operated or a AC/Battery operated design. This concept is based on sound. High pitched frequencies are released when target animals are seen by it’s motion detector. These sound waves are annoying and irritating causing the target animal to move away from the area. This device has an adjustment so you are able to isolate animals specifically. This means you may be able to keep opossum away but other predatory animals might not be affected by it unless you change the setting. For this reason the Water Sprayer may be a better option. Regardless, both are viable products when trying to keep opossum away from a pond or other area in your yard. Of course, Ultra Sound can be employed in the home as well. If you have opossum activity in your attic or crawl space, a properly placed Ultra Sound device may be enough to chase them out. Opossum will regularly move into attics, crawl spaces or other parts of the home seeking shelter. They will learn to climb up down spouts, cedar siding and other types of home construction leading to them into attics and other voids of the structure. There are many reasons why you should stop them from doing this. Animals living in such areas are a hazard due to disease, the destruction they do to the structure and the chewing which can occur on electric wiring of the home. Furthermore, they have a bad odor which will invade living areas rapidly. Though you can use some of our Liquid 4-The-Birds to keep them from traveling up and down your structure, if you suspect you have them living in some part of the home you will need to do some trapping. This is probably the best thing to do if you think they are living adjacent to the home as well since animals living under decks or in sheds will ultimately reproduce. Their offspring are very likely to find their way inside as they grow. Evidence suggests opossum which have taken up residence inside homes are that much more likely to do so again as well as their young if given the chance. Trapping and either destroying the animal or relocating it may be the only option to get rid of them once and for all. One thing is for sure: DON’T SEAL OFF ANY ENTRANCE HOLE UNTIL YOU KNOW YOU HAVE TRAPPED OUT ALL ANIMALS USING THAT SPACE. If you try sealing holes without first removing the residing animal you are only asking for trouble. You may trap the animal or it’s young inside which would make a very angry and dangerous adult. Animals trapped inside holes which are sealed will do whatever it takes to escape many times exiting into living areas. Parents will go to any length to get to their young which can make them both aggressive and destructive. Furthermore, any animal which is sealed out will only chew their way back inside since this is their home; they know no better. If you know some opossum are residing somewhere in or around your home and you need to trap them out, we have several trapping options which are all proven and effective. For most any opossum, use our LT111230 live trap. It is long enough to catch opossum. Trap placement only needs to be done alongside the path the target animal is using. This could be at the base of a tree it is climbing, on the roof, against the foundation wall, under a deck, on a deck, in a crawl space or even in the attic. 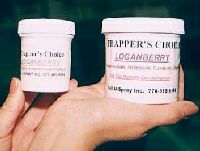 Use either our LOGANBERRY PASTE or our SALMON PASTE as lure. Loganberry works well if you have found your targeted animal feeding on fruit, vegetables or other plants. Salmon Paste is the preferred lure if you don’t know what they want or if you have seen them feeding on meat or fish. Of course, if the target animal has been digging up your yard in search of grubs, get some of our GRUB BAIT. Opossum love it. And once trapped, you can destroy or relocate the animal at least 10 miles away. If you have a hole in the ground which is being used by the target animal, you might consider the use of our LT111236BD. This is a very special trap in it’s design. It has a front and rear sliding door. 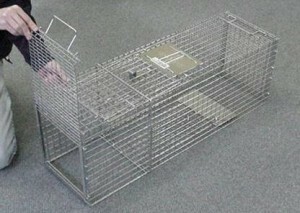 When both are in place, the trap can be used by placing it over the animals hole and forcing it to enter through the front part of the trap. This part has no bottom but once the target animal enters and walks to the back of the trap a door will close behind it preventing it from being able to escape. Again, no lure is needed for this design but will enhance sets. This trap can also be used by keeping the front sliding door out and placing it in front of an entrance/exit hole on the side of any structure. 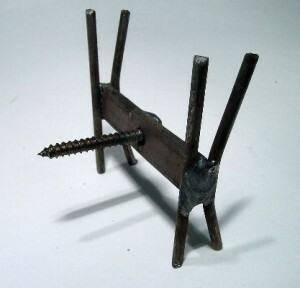 This will force the animal to enter into the trap and get caught. These features make this trap a quite unique. 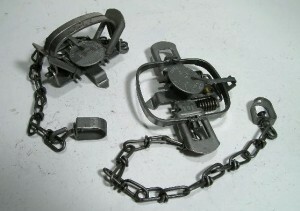 All of the above listed traps are fairly light and easy to work with for most applications. If you will be doing a lot of trapping, you many consider our commercial line of traps which are just a lot heavier and able to endure more use. Although any of the above traps can be used in the yard, outside trapping can also be done with a wide variety of leghold traps. This type of trapping has been done by professional furriers over the years but many hobbyist and amateurs have learned in recent years. The traditional leghold trap used for a long time is the BRIDGER LONG SPRING. These traps are set along pathways or by bait and attached to chains which are then staked to the ground or secured to trees. Animals stepping on the trap are then caught in the jaws and if the trap is properly anchored, they will not be able to escape. 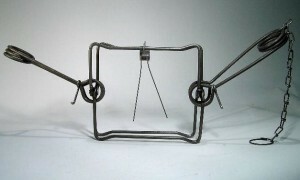 When using such traps it is always suggested to make several sets and make sure they are secure. Leghold traps will work for opossum and newer designs are very effective as well. The most common new design is the COIL TRAP. It is made with more moving parts which makes them prone to break down but they do work well for either animal. Though leghold traps can be an effective tool for trapping opossum, in most cases such methods should be left to someone who is experienced with sets and trap usage. Though anyone can learn, it does take time. The use of a live trap is very easy and effective and any beginner can get positive results quickly without any training. Once trapped, releasing the animal or calling animal control to pick the animal up is the best way to dispose of them. Watch this video to see an opossum released which was caught in a live trap. Of course, the use of a kill trap means you won’t have to worry about handling the animal once it’s caught. Over the years, many types of traps have come and gone but the one which has killed more opossum than any other is the Bodygrip Trap. Also known as Conibear traps, these come in several sizes with the BG # 220 or the BG # 330 being your best bet for opossum. These traps are quite strong and excellent for use when you know the target animal is passing through a specific location. Examples of such locations include a hole in the fence, a hole through the side of a deck trellis or maybe an old rotted vent that leads into a crawl space. You’ll probably need a set of BODYGRIP SETTERS to get the springs compressed because these traps utilize a strong tension. But is this is also the reason they’re so effective; when the target animal tries to pass through this trap, it won’t stand a chance. Death is very quick with no mess and no fuss. To help make just about any set easy, get a BODYGRIP STAND. These stands are essential for getting the trap to hold the precise position you want. The 18″ TRAP STAND is excellent for sets which need to be at ground level out in the open. But for passage ways that go through a fence or trellis, the WINDOW MOUNT TRAP STAND is the way to go. It’s ideal for a crawl space window, vent frame, pet door, under a deck or even a metal fence. Just locate the trap where the unwanted animal is entering, mount it securely to the preferred stand and within a day the problem will usually be resolved. For situations where you don’t have a “passage way”, consider setting out a bucket trap. This trap design incorporates a 5 gallon bucket along with a #220 BUCKET GUARD and a #220 BG TRAP. These traps are easy to set and extremely versatile. They can be set in your attic, crawl space, under the home, out in the yard, etc. Just bait the bottom of the bucket with some GRUB STAKE or SALMON PASTE, lay the bucket on the ground and set up the Bucket Guard with the #220 BG Trap. When the target animal tries to enter the bucket to reach the bait, the trap will close quickly and death will be instant. Opossum active or living in or around the home will bring with them nasty odors which may invade living areas. These odors can pose a health hazard as well as remain persistent for long periods of time. Don’t waste your time using ordinary household cleansers to remove or mask these odors. 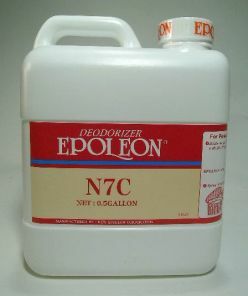 Get one of our specialty odor neutralizers to get break down the odor once and for all. Since most odors are alive to some degree, they require specific compounds to break them down or kill them off. These compounds are very effective when applied directly to the where the animals are active. This can be in attics, crawl spaces or under decks. It can also be in a wall, a chimney or a soffit. Or it can be around the home in the yard or even in a hole in the ground. We have many formulations to deal with specific odors. Try to match up your problem with the appropriate material needed. All products can be applied over each other and many times this will be needed to get complete control of any one problem. If you have a problem with animals climbing on or in your structure, odors will develop. To best deal with these odors, identifying just where the odors have accumulated is helpful for quick elimination. 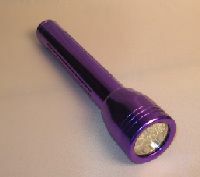 This can be done by using a BLACK LIGHT to trace all trails. The light will show you where urine, feces and other excrement is present. This will alert you to where you need to spray and apply the proper products. 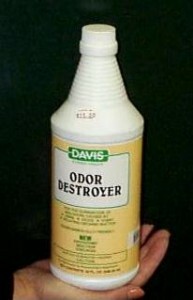 For general odors which are created by the animals fur and body odor, use ODOR DESTROYER. 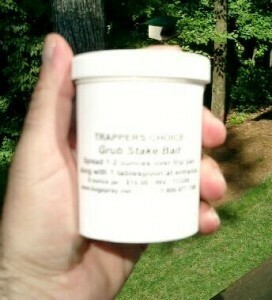 This is a product used to remove general pet odors but works well on any animal odors in or around the home. 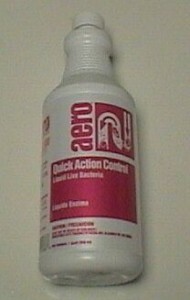 For urine or fece odors, you will need to use a product developed for cats and dogs called QUICK ACTION. This enzymal agent will literally eat the odor away. We have used it effectively for any animal including opossum. Apply it directly to wood, dirt, cement, carpeting or any other surface where urine or feces has accumulated. A few applications may be needed if the animals have been active for any length of time. Generally the way to determine this is to treat and monitor the smell. If it persists one week later, do another treatment. You will see immediate results. If you have had the animal die in the home, the dead body odor will be strong throughout the house and will last for several weeks to months depending on the size of the animal which died. Ideally, removing the body will speed up the process of eliminating the odor but this is not always possible. Animals which die in remote areas can present an ongoing supply of gases which will lead to odors. Fortunately there are products which work by “eating” the odor. Though effective when applied close to where the odor is originating, you’ll get even faster results if the decaying body is removed and the location treated directly. The best agent for this task is N7C and NNZ. They are equally effective and really only differ in that one has a scent and the other is odoreless. Both cover about 1000 sq/ft and will neutralize any dead animal body odor over time. Expect the odor to go away immediately following applications and if it returns, treat again. Another part of odor removal many times involves the removal of dead bodies, nests, feces, wood or other items where the odor originates. Once these areas have been found and the animal has been removed or relocated, you can tackle odor problems as they present themselves. 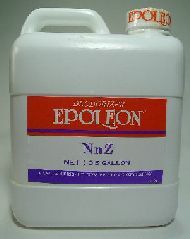 In some cases, simply neutralizing urine, dead body odor or animal odor is sufficient. In other cases, the build up of feces, urine or the decay of a dean animal body may present a hazard to the occupants of the home until these things are removed. Care should be taken when working in such areas. 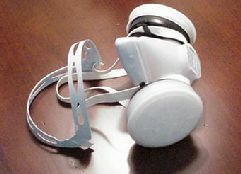 Use a RESPIRATOR to protect yourself from bacteria and other germs. Once everything contaminated has been removed, use some ROUGH’N READY to kill off bacteria, virus and other micro organisms which live feces and animal nesting. Rough’n Ready will kill these bio-hazards quickly eliminating the risk that children or pets could be exposed to. Though Rough’n Ready will not eliminate odors, you may choose to use it first to essentially sanitize an area before you start dealing with any specific odor problem. All the products listed above can be applied on top of each other without any risk so use as many of them as needed. To apply any of these odor products, you can use one of our PUMP SPRAYERS. These will apply the material in a spray form and with our adjustable nozzles you are sure to get coverage. If you have a large crawl space or attic to treat and cannot access areas where the animals were active, use a B&G FOGGER to get the needed coverage. 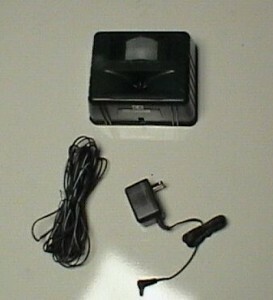 This device creates a mist or fog which will float around treated rooms and voids. The fog will penetrate all areas insuring good coverage and odor elimination. It is a great help for those hard to treat attics and crawl spaces that no one wants to enter. 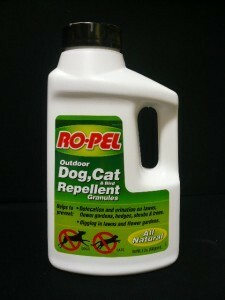 If the nuisance opossum are defecating in the yard, flower beds, decks or somewhere else which is both offensive smelling and messy, use some ROPEL GRANULES. These products were created to keep dogs and cats from urinating or defecating in treated areas but it works on many animals. Simply sprinkle them out where you don’t want animals defecating and they will start to look elsewhere for such locations. Ropel will not pose a hazard to people or pets and as an odor neutralizer seems to take away targeted animals instinctive behavior to mark territories. Once they loose this urge to mark and scent they will move to another location to leave their mess. A young possum opens the kitchen door and comes in to eat cat food. As the weather gets colder, he is looking for a warm place to den – my house. I really want to kill this animal. Live trapping is silly and repellant products are both not very effective and have to be continually renewed. There are a few “kill” options available. The first includes the use of a live trap. This would be one the easiest and safest to deploy considering you have a cat (or cats). For this method, you’ll need to place a live trap inside the home in front of the pet door which you first set to “open” for the evening. You’ll want to anchor the trap with something heavy and make sure there is enough space between it and the doorway so the entrance door of the trap can close properly. Next, bait the back of the trap with some of the cat food this opossum likes and leave it be overnight. Upon entering your home, the opossum will get caught and once trapped, you can dispose of the animal in any manner you find suitable. You could also “trap and kill” the opossum using one of the trap configurations listed above. The first option would be to set up the “window mount stand” and a #220 body grip kill trap. Again, the set would be made at the pet door since this is where you know the animal is entering. We have a video on the window mount trap stand page which shows how to set it up which is fairly easy. Just be sure to keep the cats safely behind a closed door when this trap is out since this setup would easily kill them if they try to pass through the door. The advantage of this trap over the live trap is that once the opossum enters your home, it will be killed. You could also choose to use a similar kill trap just outside the pet door. This set up would allow you to close the pet door for the evening so the cats can’t enter. Now just outside the pet door you’ll set up a bucket guard trap with some cat food as lure. No doubt the opossum will find this offering too good to pass up and when it tries to get the pet food inside, it will meet an instant death. Lastly, you could can poison it. This will take several feedings and several days but it can be done using some Liquid Poison and cat food. You’ll need to mix up one pouch of the poison with 1/2 cup of cat food pet set. This could be placed just inside or just outside the pet door every evening for as many nights as is needed to get results. No doubt the opossum will easily find the offering when it comes around and after a few days of eating this “tainted” mixture, it will succumb to the active and cease to exist. Just be sure your cats don’t eat it!